The glossmeter measures the level of gloss from a certain surface. Whereas a refractometer measuring the breaking of light (refraction) of a liquid or paste. 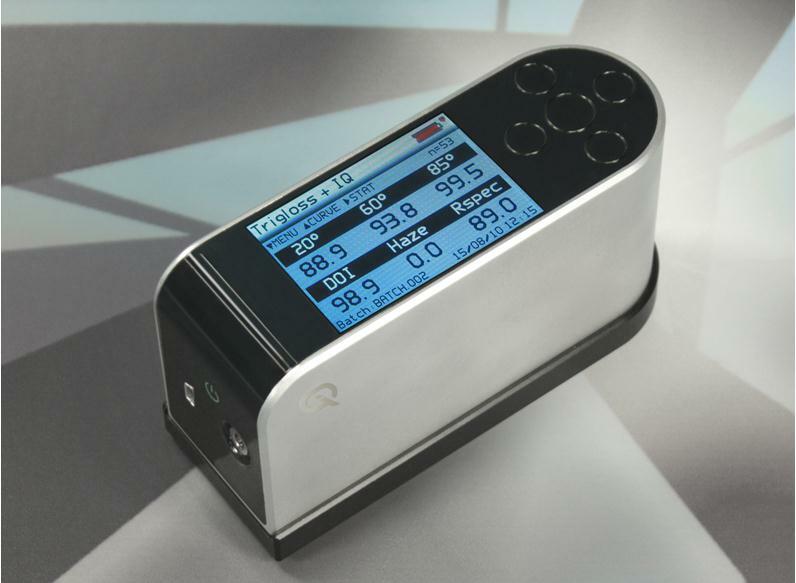 The glossmeter is used to measure the reflective properties of a surface. 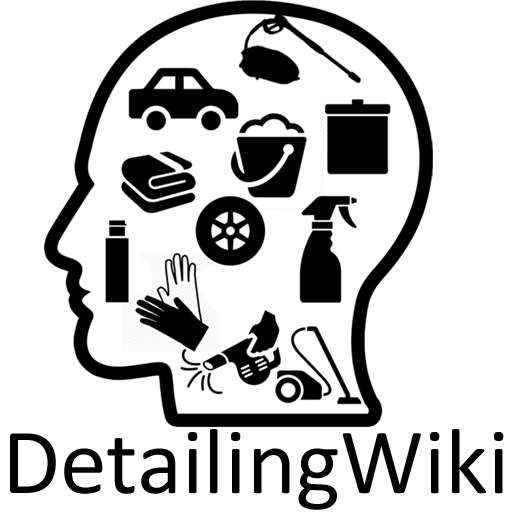 During manufacturing, it is important that every batch is identical to a previous batch. The level of refraction is one of many properties that is used to compare batches to a certain standard. In some cases, it can give a clue into what the reflective properties will be from a product. The refractive index indicates the bending of light when it goes from one substance (for example: air=gas) into another substance (for example: clear coat). When the light is actually reflected from the surface, the level of reflection is measured by the glossmeter. The refractive index can directly affect the level of reflection, and thus one can say that the reflective index and the refractive index share a direct relation that affects each other. A refractometer is an instrument that measures the level of light refraction of a certain substance. The traditional refractometer (shown in the image the the right) is used to measure the level of refraction in liquids. This makes it possible to measure the amount of impurities within the liquid that effect the refraction of light. This is often considered to be one of the many variables to check if a certain liquid adheres to a certain set of standards. This can also be used for certain products like wax or sealants, although this doesn’t always hold true because wax can have slightly different refractive properties after fully curing. After the application of wax, sealant and/or coating, there can be a difference in reflection. 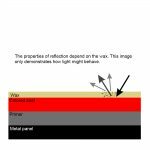 Not only will the refractive index affect the way the light behaves after entering the microscopic layer of protection, but it will also affect the way the light behaves after being reflected from the surface. 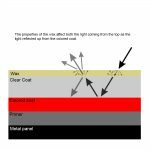 Light goes from air into the microscopic layer of sealant, and bends 5 degrees, 10% of the light is reflected, 90% passes through the layer. Light goes from the layer of sealant into the clear coat. 25% of the remaining light is reflected back through the layer of sealant, the other 75% goes through the clear coat. 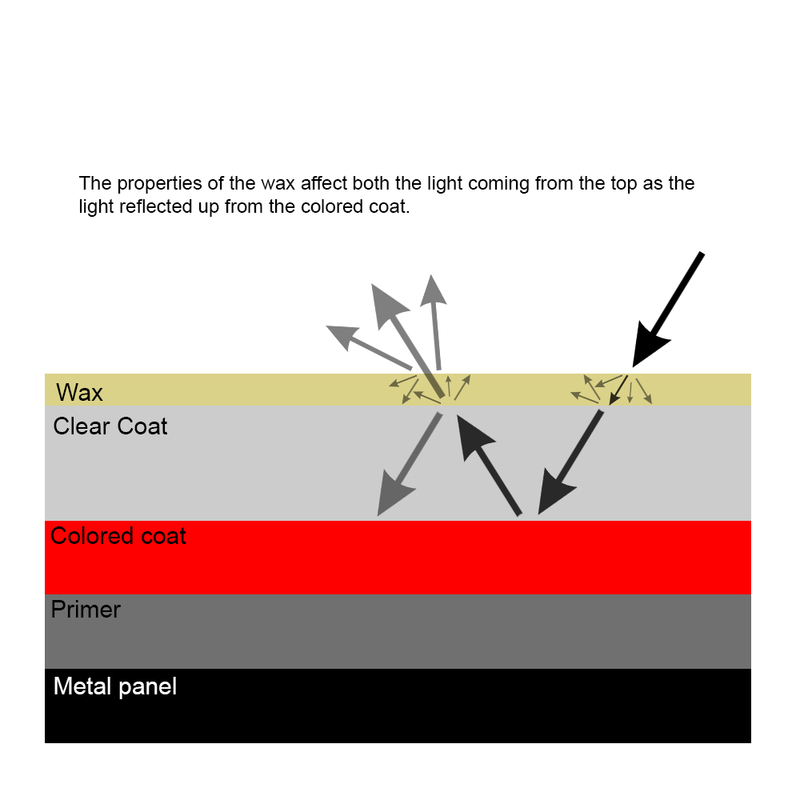 The 75% of light going through the layer of clear coat hits the colored layer and is reflected from the surface in an identical but opposite angle that the light was travelling. 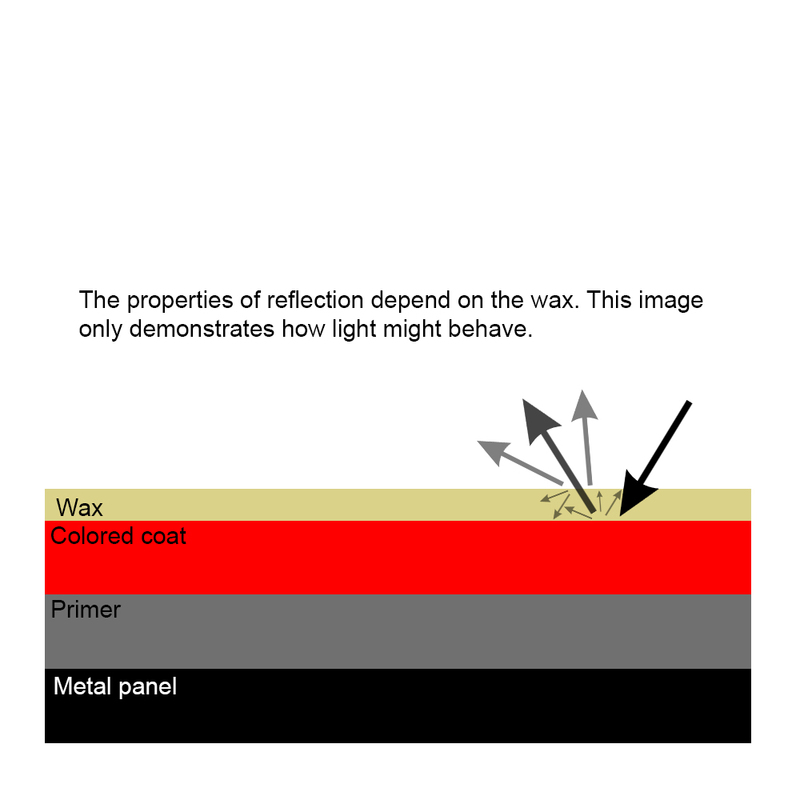 The reflected light goes from clear coat into the microscopic layer of sealant. 10% of the light is reflected back down again, the 90% that passes through bends another 5 degrees. The 10% that is reflected back down again is reflected by the colored coat, and goes back up in an opposite angle. In the example above, light that bends is due to the refractive index, whereas light that is reflected is due to the level of reflection. The combination of both properties together are seen as “gloss”, and can be measured with a glossmeter. If one would say that the light begins at 100%, only 60.75% is left at the end. The other percentages are reflected within the journey the light makes when going from one substance into another. In real terms, the percentages would be a lot smaller, we increased the numbers slightly to make the example easier to visualize. The glossmeter works via a fairly simply principle: shine a very controller amount of light into a certain direction with a certain concentration, then measure the light that is reflected. Its properties, strength and angle gives a clear image of the behaviour of the light and its transitions. The result can be shown as many different variables, the amount of variables differ per device. The more expensive models can measure more different types of variables than the cheaper models. Some of the common variables on most devices are the angle of the light, the angle of the return, the strength of the light reflected, the level of scattering of light. The total numbers is presented as GU, short for Gloss Unit. The lower the number, the higher the level of gloss. 20 degrees is considered a very high number, whereas 70 degrees is typical for white office paper. Some devices can also specify the type of reflection. The D stands for Diffuse, the G for Gloss and the S for Spectular.